So, you have finally decided that you are going to buy a guitar, great! Don’t think too far, i.e., becoming a professional guitarist or having your own band, but just take one step at a time. 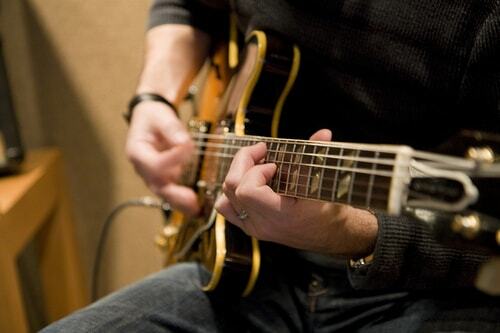 Most people buy a guitar because they love playing guitar and not because they want to have their own Rock band. Having a guitar is a wonderful thing as this musical instrument can help you reduce stress and create countless melodious tones. First thing first, there are two types of guitars available on the market these days, electric guitars and acoustic guitars. An Electric guitar from the name itself is clear that it makes use of electricity to operate, whereas, an acoustic guitar has a hole, which helps create the sound when the strings are pulled in a certain way. In an acoustic guitar, there isn’t any external amplifier connected, and the intensity of the sound you hear is originating from the guitar itself. People who love guitars consider acoustic guitars as original because they are made from a wooden plank and nylon or bronze or silver strings. If you want to learn how to play guitar or want to move into the direction of being a guitarist in the future, then you have to start learning on an acoustic guitar. Guitars come in different shapes and sizes, and I’m sure you are well-aware of this thing. Most of the guitars are outfitted with nylon strings, but you can find a few, which have steel strings on them. Guitars having steel strings are stronger than any other guitars because of the force and tension put up by the silver strings on the wood of the guitar. Whether you choose a guitar with nylon strings or steel strings depends totally upon your choice. One important thing about the guitar is that there are two types of strings, which are not interchangeable on guitars. If you have a steel strung guitar and want to add Nylon strings as well, then it is not going to produce good sound. All you can hear is a buzzing sound or a dead sound. If you have a classical guitar and want to string steel strings on it, then it is going to damage the wood. A classic guitar usually has nylon strings, and stringing steel strings is going to make it very heavy. You want to know which type of guitars are best-selling in North America, well, of course, you do want to know, who wouldn’t be interested in knowing that! Steel strung guitars that have round holes on their soundboards are the ones that are topping the list. They are unamplified guitars and are well-suited for beginners. You can also add pick-ups with these guitars and then, your guitar can even be used with amplifiers. You must have scoured the internet in order to find the guitar that suits your requirements and budget, but have you find it yet? I guess not, so there is nothing to worry, as we will be doing a review of best guitar for beginners from which, you can get a good idea as to which guitar you should be buying for your new venture of being a guitarist. Well, this is one guitar that has got everything that you might need in an acoustic guitar. It is extremely difficult to point out mistakes in Seagull S6, and those who have played this guitar has never uttered a bad thing about it. The guitar gives the look of a premium guitar, though its price is a lot cheaper than the premium brands like Taylor or Martin. It is made from premium tone woods. The classic dreadnaught shape of this guitar has a cedar top, which is known for withstanding high pressure, the back and the sides of this guitar has been made from Canadian Wild Cherry. Silver maple leaf has been used to create the integrated neck. When it comes to the fretboard and bridge, those are made up of rosewood, which is also a good standard. GraphTech has been used for the nut and the saddle, which is quite impressive. The semi-gloss custom finish is quite pleasing to the eyes. Overall, the guitar looks pretty awesome. Investing around $400 for Seagull S6 is worth because the sound output is fantastic. Clear sound, warm tone, and beautiful tonewoods make this guitar an irresistible musical instrument. For beginners, it is a great choice. Yamaha is a world renowned guitar making company and its FG series is the oldest and the most popular series. Guitars of this particular series were sold like hot chocolate, I mean, everybody had a Yamaha FG series guitar. The top of the guitar is made from Sitka Spruce and the back and the sides are carved out of Rosewood. 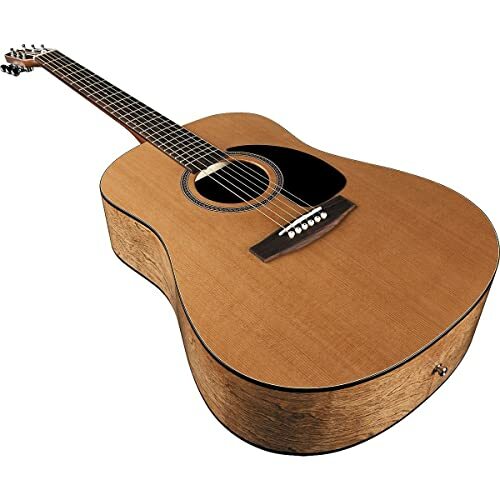 With an evergreen shape of a standard dreadnought, this guitar is a great option for anyone including beginners. The company brought their unique software into use in order to find out the best patterns that will work out with the given materials and dimensions. Intonation is mechanized, which I think is a drawback because if that was done by luthiers, then it could have been a lot better. Yamaha FG830 is an affordable guitar and gives you the same feel, but when it comes to sound, get ready to be surprised. The sound output is beautiful, as you will get rich projection with a wide range of overtones. For beginners, this guitar is one of the top options. 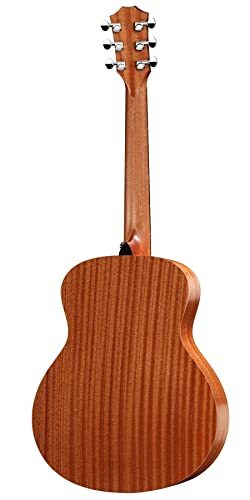 As we have crowned Taylor and Martin as the top guitar brands, specimens of guitars, so there is no need to tell you that Taylor GS Mini is a feature-packed musical instrument, which will take your breath away. This guitar is perfect for beginners and they can future proof their setup with it. The grand symphony mini body shape of this guitar says a lot in itself. A firm mahogany top along blended with laminate Sapele back and sides give a beautiful look to the guitar. Sapele is also used for the neck portion with the combination of African ebony used to create the fretboard. Though it is a mid-range guitar, but the hardware doesn’t seem to give the feel of it. Tusq compensated saddle and even nuts made from Tusq is something that you won’t see in too many guitars. Don’t take the name ‘GS Mini’ too seriously, as the sound produced by this guitar is thunderous. The sound is tight, tones are warm, even when the trebles are accentuated. For beginners such as you, buying a guitar is a wonderful and a life changing experience. You must take your time checking all the brands and their models before coming to any conclusions. There must be a list that you have created regarding what you want to see in your first guitar, so analyze each and every guitar you stumble upon and see whether it tick marks all the points on the list or not. It will take time before you find that guitar, which you can proudly take along as your true companion. Pay attention to the aforementioned three guitars as they are extremely popular and packed with all the features that most guitarists look for.